?The super light TR90 frame: You can hardly feel them on your face! 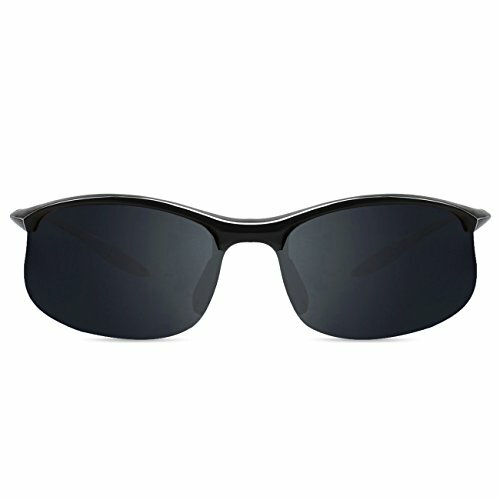 ?Polarized lenses align light rays from the sun, giving you a crystal-clear view at all times. So whether it's the ski slope, trout stream or highway, you'll be able to see what's really ahead. 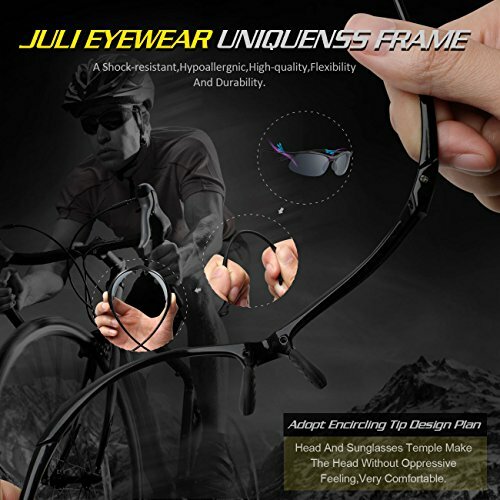 ?Great fashion frame design for cycling, running, fishing etc. outdoor lifestyles. ?Fixed,saddle-style with non-slip, rubberon nosepad,Let You Feel Comfortalbe While Wearing This. ?Cool Semi-Rimless jacket frame design for clear lower vision field. 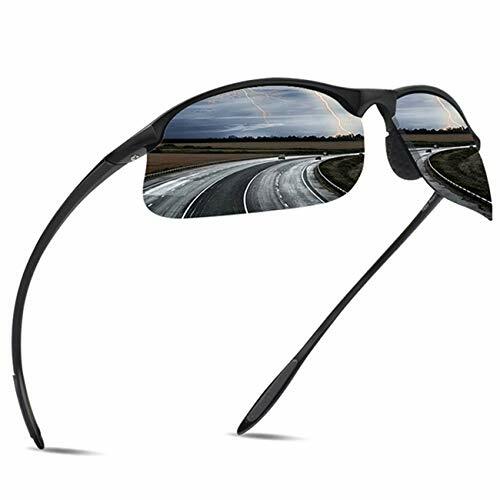 ?Polarized lens that eliminates bothersome glare and improves contrast for maximum comfort. ?Durable and unbreakable frames and lens. ?Good for sports or other outer door activities. ?30 Day Money Back Guarantee. ?1-Never clean your sunglasses with paper towels or clothing, which can leave scratches. Just use clean water and JULI's included cloth to clean it. ?2-Never leave your sunglasses under car's front window, especially in summer. Prolonged exposure to the oven-like temperatures inside a car can degrade the lens. ?3-Avoid using household detergents or soaps,which can harm it. 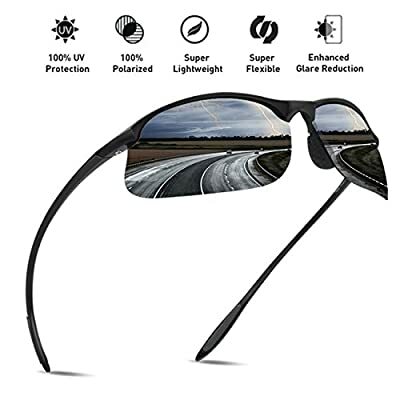 ?POLARIZED HD VISION LENS - Not only protect you from harmful UV rays, they're built for maximum impact resistance, making sure debris doesn't harm you or hamper your performance. The sports sunglasses designed for driving, running, fishing, racing, skiing, climbing, trekking, etc. 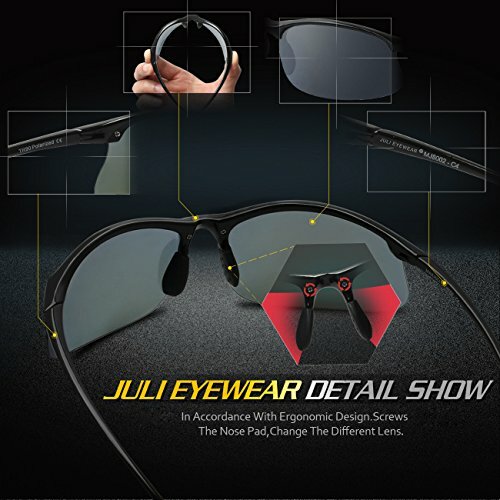 ?TR90 UNBREAKABLEA AND SUPERLIGHT FRAME - TR90,a lightweight, durable polymer with extreme bending strength known for retaining its shape.The high elastic material make the frames become impact, scratch resistant, durable and unbreakable. 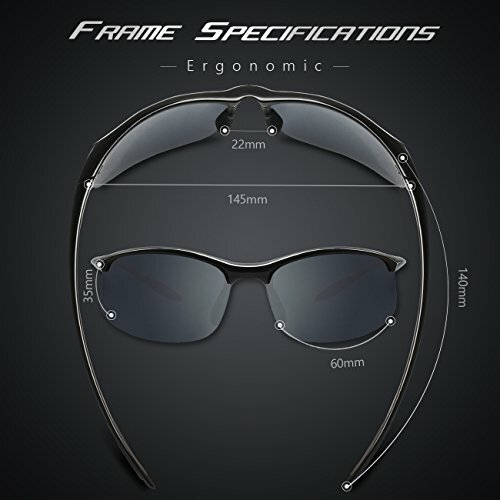 ?IN ACCORDANCE WITH ERGONOMIC DESIGN - Those glasses are constructed using special design techniques, ensuring you stay at comfortable and safe at outdoor activity.This classy and polarized sports sunglasses for men is designed to suit both men and women as an effect sports accessory, fashionable decoration and daily wear driving sunglasses ?PRODUCTS DIMENSION - Lens Height:35MM(1.4Inches);Lens Width:60MM(2.4Inches);Temple Length:140MM(5.5Inches);Nose Bridge:22MM(0.9Inches);Frame Length :145MM(5.71 Inches) ?JULI WARRANTY - All JULI customers enjoy 30 day money back guarantee. Customers can return and get refund in case the purchasing is not satisfactory for any reason. You have no risk to try and we will provide you the best service.